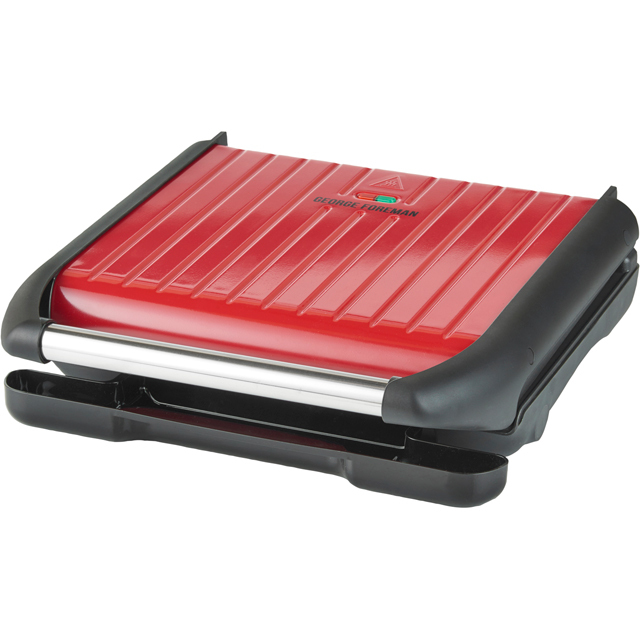 Enjoy cooking in style with this George Foreman health grill. It can make 7 portions at once, so whether you’re making tasty paninis or succulent grilled chicken, there’s always plenty to satisfy your guests. 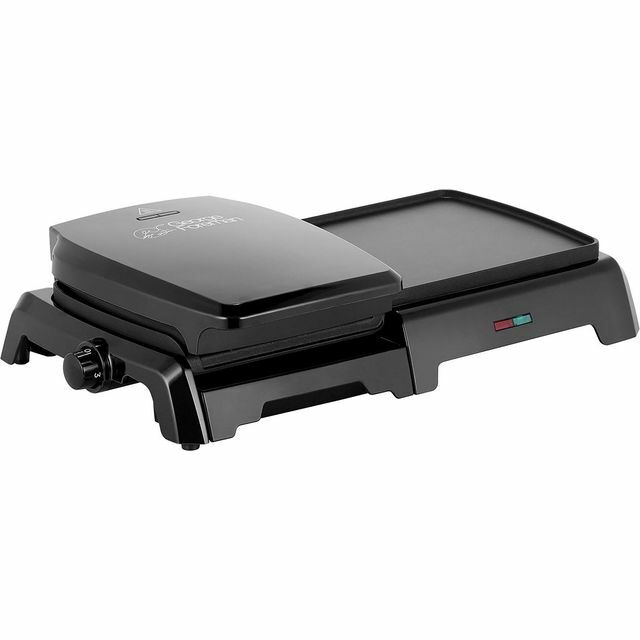 Thanks to the floating hinge, it opens really wide to fit even the thickest burgers and juicy steaks inside. 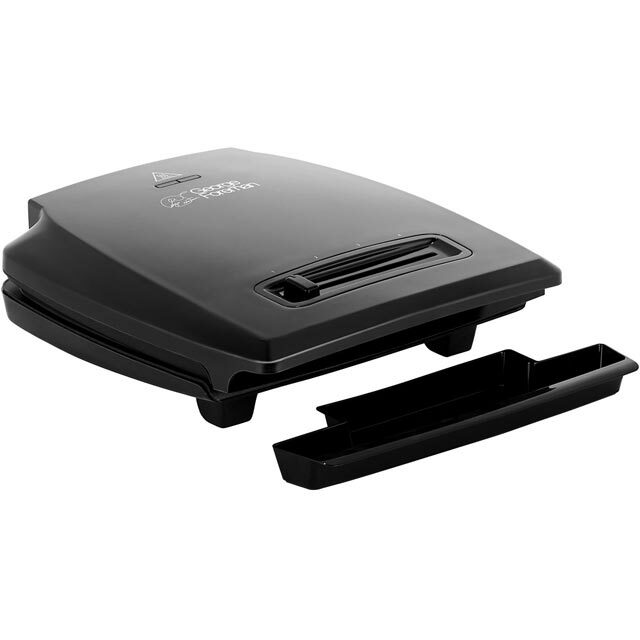 The non-stick surface stops your food clinging to the cooking plates, while the handy drip tray collects the grease and fat. Not only does this make it easy to clean, but it means that you’ll always eat healthily too. 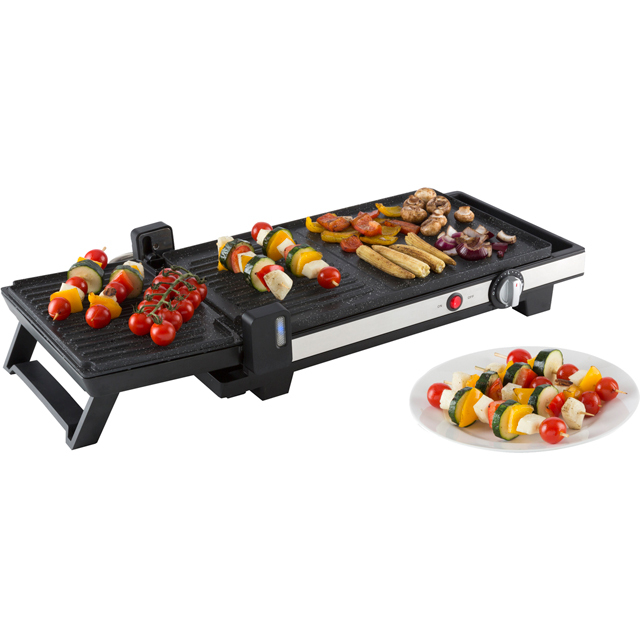 This grill can be stored vertically as well, so it won’t take up much space in your kitchen. We bought a new George Foreman to replace our old one . The difference is amazing , completely non-stick and no smoke from the grilling .Cook much more evenly too. Good colour. Works well. Stands on side for easy storage. 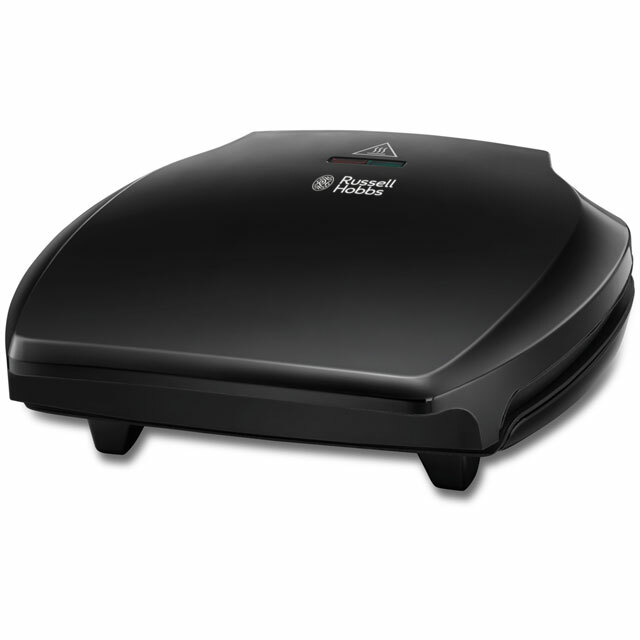 Bought this George Foreman about 2 weeks ago and use it almost every day. Steak, sausages, bacon and even fish. Well worth the money as I don't have to put the oven on to good the above anymore. Easy to use. But have only used it once. Even though it has an adjustable hinge, hinge can be moved up and down but does not lock in place. So it still flattens a sandwich. * 25050_RD was at the higher price between 12/03/2019 and 18/04/2019.